…very helpful when it comes to learning from history to better understand the present. 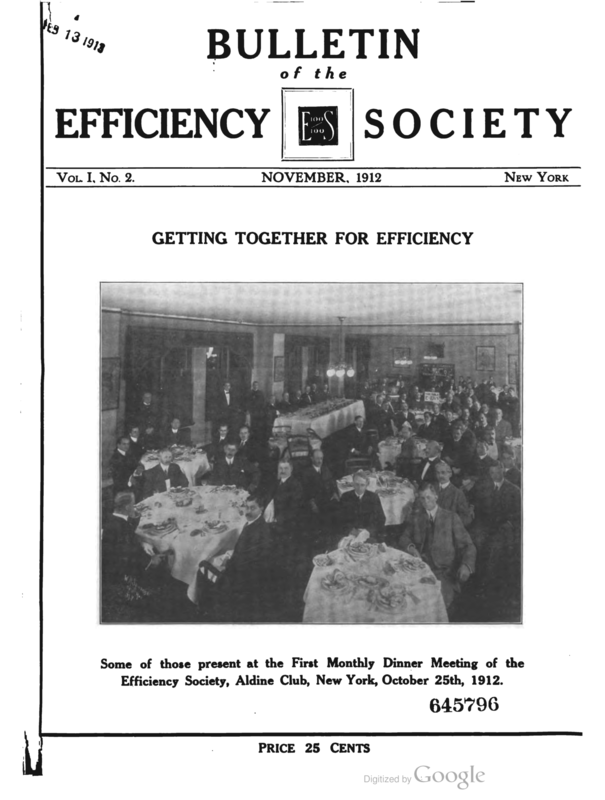 As you may know, one of my great interests is to read articles from the early days of industrial engineering its transformation into progressive management. This time period, circa 1890-1935, interests me because the forerunner to Toyota’s production system and Lean, called Scientific Management, experienced many of the same difficulties that we face today. I offer you a curated collection of my recent readings from between 1911 and 1921. Anyone interested in Toyota production system, The Toyota Way, or Lean – whether service or manufacturing – should be very interested in these articles. One of the things that you will quickly realize is that Scientific Management circa 1912 is better aligned with TPS/Toyota Way than Lean was when it was introduced to the public in 1988 and for nearly two decades thereafter. You will be amazed by what you read in the articles below. And you will soon realize the key figures leading the Scientific Management movement were intelligent, deeply thoughtful people, with good intentions, who dedicated their lives to improving American industrial strength, the practice of management, and life for workers on-the-job. Frederick Winslow Taylor et al. are not the horrible villains that self-proclaimed “management expert” James P. Womack makes them out to be. (Click here for more details). Enjoy this small sampling of great work that was the foundation upon which Toyota’s management system was built! And please don’t ever forget that it was the birth of industrial engineering that led to the Toyota Production System and The Toyota Way, while it was MIT that gave birth to Lean. This blog post was more successful than I thought it would be, so I decided to add these four truly impressive works that are well worth your time to read. Primer of Scientific Management, Frank Gilbreth (D. Van Nostrand Co., NY, NY, 1914), 103 pages. The Psychology of Management, Lillian Gilbreth, (Sturgis and Walton Co., NY, NY, 1914), 344 pages. The first is a 13 page paper by Morris Cooke that gives you a great sense of the intent of Scientific Management, which is to benefit both owners and workers. Next is a powerful essay by Horace King Hathaway which every TPS/Lean practitioner can relate to. Finally, two powerful books by Frank and Lillian Gilbreth that get into amazing detail about Scientific Management from both technical and human perspectives. You will see, even more clearly, that Toyota management is more closely aligned with Scientific Management than you ever imagined – and that Scientific Management is closer to Toyota management than Lean is. Enjoy!